I tried using light panel as the sun substitute. The panel, set at 100% intensity, is placed outside about 2 meters away from the window. The problem I have with light panel is the missing shadow. If I decrease the size and/or move it further away, I can't get the same level of brightness I want. Light panel is fine but I lost the shadow effect casted by the early morning/late afternoon sun? Same issue here with the shadow. Aperture, shutter speed and ISO is what normally controls the exposure. Unfortunately none of these parameters can be controlled when making snapshots with the SH3D camera. Yes, bigger and closer light sources give softer shadows – smaller and farther light sources create sharper shadows. So when you place a panel light @ 100% only 2 meters away from your window, your shadows WILL get soft. Of course, the gallery background is not adjustable, so the smaller the image, the darker it is perceived. Secondly; the camera is an absolute observer, whilst our eyes are dynamic observers. So when your snapshot is viewed against a white background, your eyes are automatically adjusting the white balance and the light to the brightest area. Any normal exposure will seem a bit dark when viewed against a bright white light. The gallery does not offer us the most favourable surroundings for viewing. Using Photoshop to adjust the brightness to match a white background is often necessary when posting small images. Any normal exposure will seem a bit dark when viewed against a bright white light. Ah yes, I got it now. With my image put against a dark background, your point is indisputably clear. Thank you very much Cec. In school I learned that nature will never produce a straight line. It will never produce rectangles, hexagons or cylinders, and it will never produce neon tubes. I learned that whenever something “unnatural” is introduced, nature will not recognise its existence in its basic form. It will immediately start the process of forcing it to adapt. The forces of nature: Wind – dust – sunlight – rain and so on, is immediately set to work. I learned that nature wants chaos. And I learned that maintenance is essentially just another word for humans trying to prevent nature from forcing the adaption. I don’t really agree with all of this anymore. I think man is a product of nature, and by logic reasoning everything man ever creates must be as natural as nature itself. Where else could it come from? That being said, I think texturing is all about applying chaos. This part was initially meant to say a few words about how I use textures, but I have gotten some inquiries about water, so I will start with that. I have made a project file that can be downloaded HERE. It includes a downscaled water model ( 14MB) and some textures. I know this can also be made with Blender, but for me using Blender is no option yet. Just so it’s mentioned; trying to make waves with a handcrafted height-field map is a waste of time. We can't do random like a computer. Well, a computer can't really do random either, but it does it better than me. and then edit the mtl-file to give it a glass surface. I’m aware that I’m missing the density, but this setting gives a good enough mixture of reflections and transparency for my use. If someone has the time to rework these settings and make it more water-like, please share the result. In the project file " Sea 1" is the same model as "Sea 2". The difference is that "Sea 1" is textured with a semitransparent wave-texture and has a different mtl. 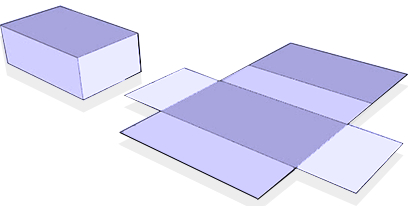 If the texture is replaced with a colour, Sea1 also becomes transparent and reflective like "Sea 2," but in a different way. This is the project file. Harbour.sh3d. The pier is 280 meters long, sixty meters wide and 8 meters high, which means the texture has to be quite big if I want good renders. The texture file for the pier, which covers half the length of the pier and is repeated once, is 10000 x 750 px. When texturing large constructions, I use 1 px = 1 cm for textures. That means I can get a fairly good rendering from a “normal” distance. 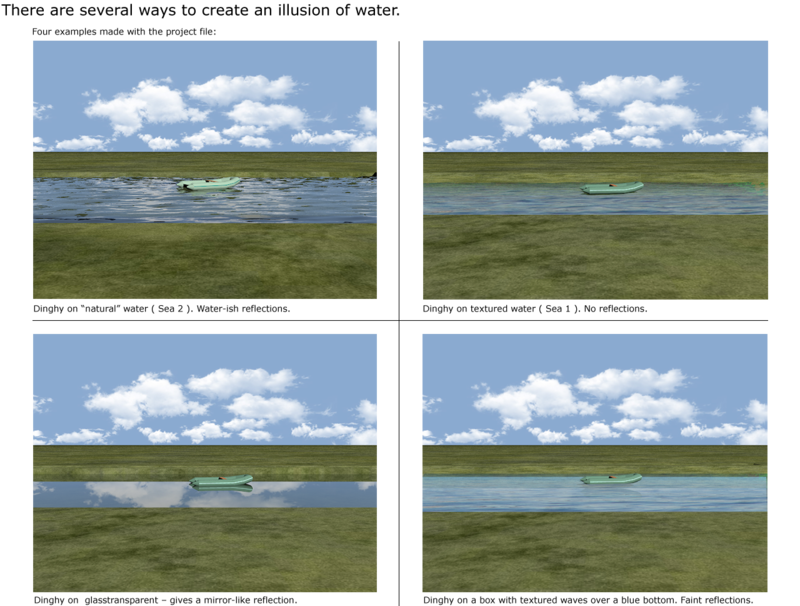 the frame, a bit like I do with the water model; move it around to cover exactly what is needed. sides so I don’t end up with images that are stretched or compressed. This way the project file gets larger, but textures have little influence on the rendering time, and most modern computers can handle quite large projects. makes it easier on the computer. When I create something like this harbour, I often browse thru my old photo-collectors to look for inspiration. 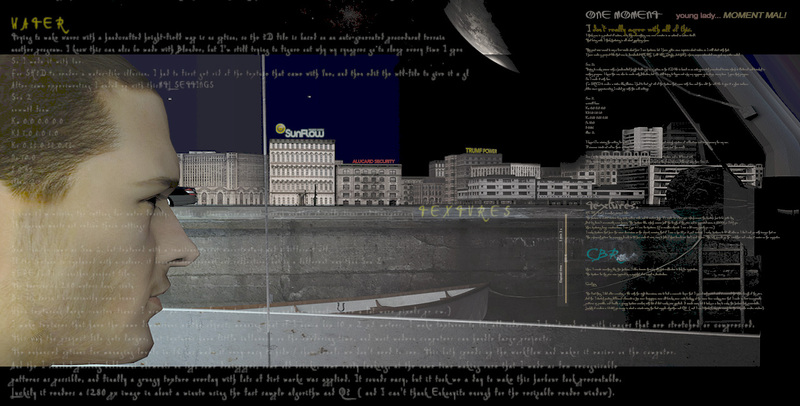 The pier ( and the texture) were inspired by an old snapshot of a canal in Amsterdam. It wasn’t good enough to rip any texture from it, but it gave me some ideas. When making a texture as big as 10000 px, the first thing I do is to fill the bottom layer, creating a foundation for the different elements I will paint it with. It sounds easy, but it took me some hours to make this harbour look somewhat presentable. 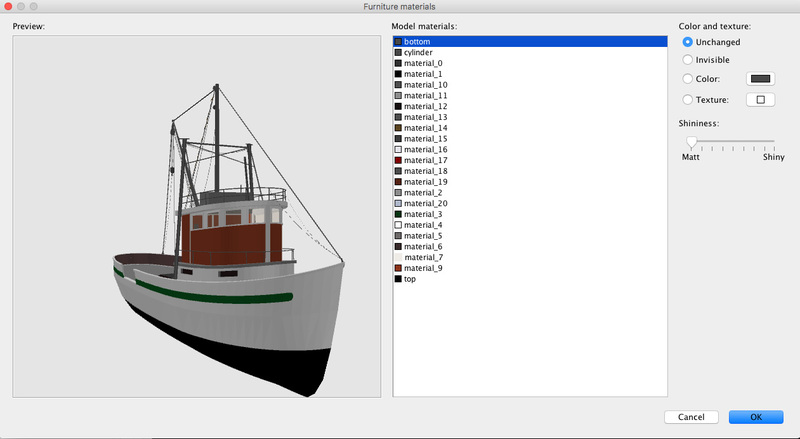 The materials modification pane now also scales the 3D model when its resized. Some of my unscaled 4K originals, some textures and some other things can be downloaded HERE.. I like my textures to be unique to my projects. That’s why I spend time on making my own textures. I create most of my textures from photos; snapshots of buildings, walls, fences, doors, pavements, graffiti… and what have you. Cloudy days are best for photographing. On cloudy days the light is flat and there are few shadows. I don’t like it when shadows are pointing in the wrong direction. There are also a number of websites with free textures that are good starting points for creating unique textures. Sometimes I just try a “wrong” texture on an object, just to see what it looks like. I found a nice abstract image on a free textures website. I applied it to the cover of a duvet. Finding the right texture can take a while, and sometimes the right texture just isn't even created yet. Sometimes creating a simple 3D model is a lot faster than searching for the texture of your dreams, especially when it comes to flooring. Floorboards and tiled floors can easily be made with Photoshop ( and maybe with Gimp?) using 3D extrusion. A model can be textured with any kind of texture, or just coloured, without losing the structure. 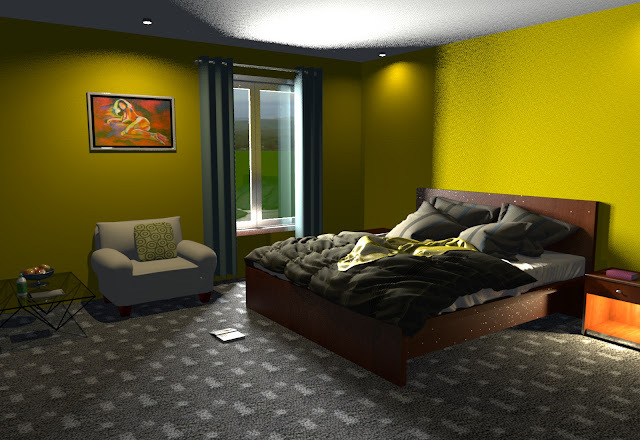 Here is a project file: Flooring.sh3d. I have made some example renderings. Everything is easy when you know how to do it, but I know from experience that creating complex height field maps take a lot of trying and failing. The easiest way to start is to use Verto Studio 3D as terrain generator, and to use Gimp, Photoshop or what have you, to start playing with gradients and grayscale. Designing a correct height field map that perfectly reflects the real surroundings of a house, is more than I’m able to. and a new plugin made for Photoshop, but I’m not familiar with that technique yet. 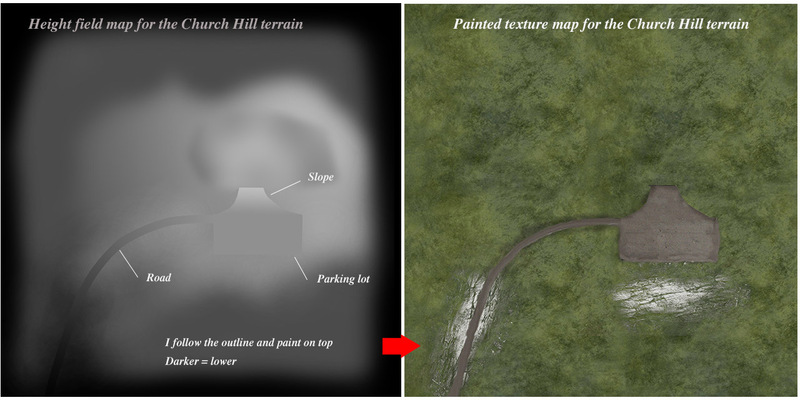 If it’s a terrain created from a home-crafted height map, it’s quite easy; just enlarge the height map and start applying textures to the right places. Apart from where it’s evident that my images have been subject to post production ( photoshopping), all images here are straight out of SH3D. The only postproduction is downsizing the images from 4K to 1280 px. Wow. At a loss for words. So much to learn - and so little time (before Christmas at least). Looking forward to studying further. Thanks for posting. I'm really sorry about the typos here. Spellcheck think it knows better than me what I want to write, and tends to automatically substitutes even words that I have spelled correctly. Alas, it is too late to edit this post now, so the wrong words are here to slay... ...STAY! forever. I'm browsing through my collector... I mean collector... COLLECTION! (...) texturing is all about applying chaos. And you can even turn it around and say: Chaos is texture. In the world of computer-aided composition and performance we can apply a process that creates a touch of randomness to pitch and timing. When we apply this process to our music we make it sound like it’s being played by a human rather than by a machine. This process is called Humanizing. The amount of randomness in this process is however quite questionable as the computer is dependent upon certain parameters to be set prior to applying the process, and as you say; computers can't really do random. Neither can nature, in my opinion. Nothing is random. Everything is dependant upon the state of the initial conditions. I see no unstructured randomness in your perfectly applied chaos. I guess that's the secret to creating these lifelike images. I have just read this whole tread once again from start to end. You have obviously put a great deal of work into this. I can only say thank you for sharing your knowledge, your creations and your thoughts. Just noticed the title of the last image: "Jag kan ro utan åror"
The title is taken from a Swedish song, known all over Scandinavia.